XSHIBUYA is a sole voice of 5 different individuals, with their various character and persona. 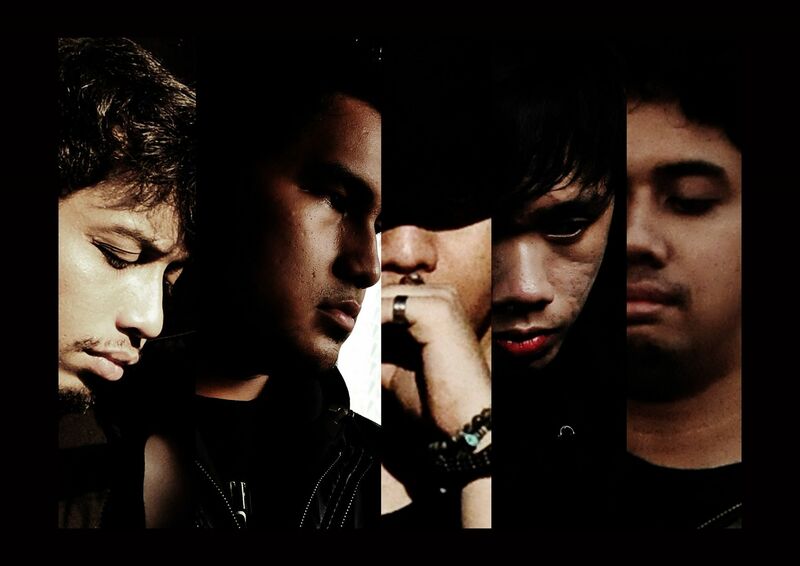 Cianicolay (vo), Goh (gui), Gamal (gui), Mario (ba), and Rei (keys). Started out as a 'Tribute to Dir en Grey' band in their earliest days of performing. Before slowly expanding their wings, when they began to create their very own sound and music. The first formation of X SHIBUYA consists of Cianicolay (vo), Goh (gui), Kharisma (ex ba), Wiwid (ex gui), Rei (keys) and Obon (ex dru). As a fruit of their creation, on 2009 they released a mini album called, "Despair of Sorrow", and with that, marked their first step as an independent musician. Not so long after they released "Despair of Sorrow", Obon and Kharisma, their first drummer and bassist, had to parted ways because of creativity differences, and with that, X SHIBUYA soon recruited Sandy, a 17 years old prodigy, as their current drummer and Mario as their current bassist. Later on, in the same year, their guitarist Wiwid also had to go on separate ways, and now the guitarist position is filled by Gamal from FavoriteSin. Finally on November 13th 2011, They released their first full album, LACHRYMOSE LABYRINTH. The album contains 11 tracks, including the album version of their previous released 3 singles, ENOLA, PSYCHO KILLER and Prevocalic Blossom. If the theme of their old mini album was rather dark and gloomy, LACHRYMOSE LABYRINTH oozes challenge and an outcry of passion. A jaundiced view of this world, A question of 'why' to everything that happens in this world, followed with a persuasion to encourage everyone, so together we will try to find the solution to make this world a better place. On March 2013, they released a new single called LONE WOLF. The philosophy of LONE WOLF is about being able to choose your own path and live with it, no matter how hard or how difficult. As we know, wolf actually is an animal lives in pack. A LONE WOLF is indeed a wolf that doesn`t belong to any pack and travels alone, with all it`s risks & consequences. So in general, this song is about choices that take in life. How to be brave facing the world even though you`re different from the rest of the world. They combined metal music, with a touch of classical ambience, and of course, they threw in various ethnic sounds from their Indonesian heritage. Filled with so many kind of vocal sound, from high-pitched-ear-deafening shriek, to monstrous scream and deep growls, to arabian hum and indonesian sindhen. Versatile vocal and powerful yet beautiful music is pretty much their trade mark. You might find some of their lyrics as cut-throat and disturbing, but in some other songs, you might actually listen and be comforted by their lyrics. All in all, once they sucked you in, they will captivate you, turn your head and mind all twisted and upside down with their ideas of humanity and such a ludicrously cruel reality. and with that, their childish wish of ever changing this tainted and corrupted world to a better place might come true. "Whether it's a small stage with 10 people watchin or it's a grand stage with hundreds of people watchin... we're gonna play as if we're being watched by thousands of people! and that's the point of being a performer"